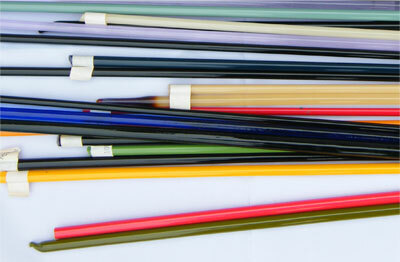 temperature and glassblowing torches, where the mixture of oxygen, air and gas is used. 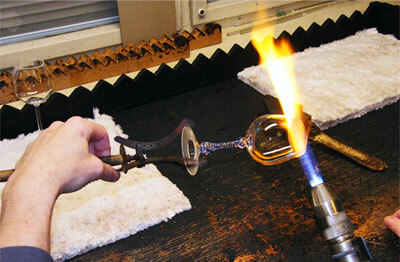 The glassblower heats the glass intermediate and gives it shape by blowing into it. Then the cleaning and washing follows. This is performed in order to prevent the ignition of impurities into the glass surface while tempering. Tempering is done in the glass cooling furnace. Here, the products are heated to circa 550°C (depending on the size of the products and its side thickness) and then they are gradually cooled down. During this process, any undesirable tension in the glass that could result in the rupture of product is removed. 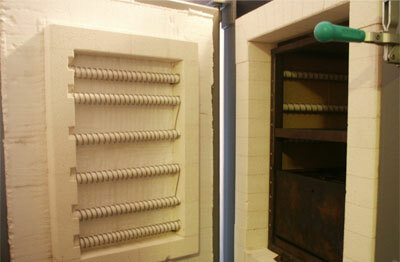 Tempering is a very important part of the production process. After that, some products are decorated by sanding or painting. In the end, a thorough check of the product and its parts is performed. According to customer’s wish, the goods can be packed into small boxes, gift boxes with satin filler or collectively into bigger boxes. 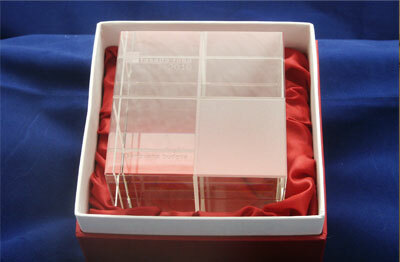 After the packaging, the product starts its journey to the customer not only here in the Czech Republic, but also abroad. The company exports mainly into Germany, Italy and Slovakia. Bottles (wine, liquor, oil, vinegar etc.). 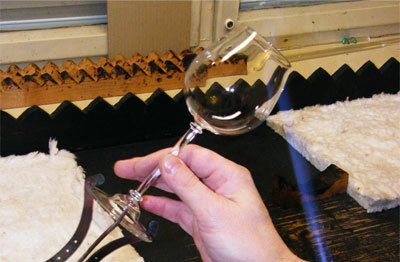 Glasses (wine, champagne, liquor, etc.). Christmas decorations, stands, lamps, lanterns, aromatic lamps, etc.